10 a.m. – 4 p.m.; Opening Remarks at 10 a.m. 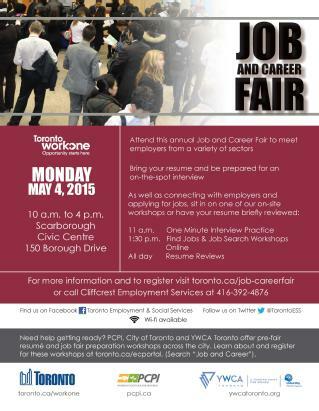 Attend this annual Job and Career Fair and meet employers from a variety of sectors. Bring your resumé and be prepared for an on-the-spot interview. Meet and network with employers. Apply to jobs with a variety of employers. Hong Kong is an excellent channel for accessing China’s consumers, and offers many advantages for foreign companies interested in exporting to this diverse and expanding market. On Thursday, November 8, join the City of Toronto and the Canada China Business Council (CCBC) to learn how to leverage Hong Kong and export into China. CCBC members and non-members are invited to purchase tickets for this important event. City of Toronto companies will receive complimentary registration. If you have any questions, please contact Karen Jiang, program officer for CCBC Toronto, at (416) 954-3800 ext. 317 or by e-mail at events@ccbc.com. Toronto is Totally Talented as the High Tech Hub of Canada! Toronto was once called Toronto the Beautiful. Now, Toronto is named Canada’s high tech hub! City of Toronto, MaRS Discovery District, KPMG, Toronto Region Research Alliance (TRRA), IDC Canada, the Impact Group, the Ontario Centres of Excellence (OCE) and the Ontario Ministry of Economic Development and Trade (MEDT) got together to produce a report titled “Canada’s High Tech Hub: Toronto“, which provides participants at Technicity 2010 (www.technicity.ca) with a brief overview of Toronto’s ICT (Information, Communications and Technology) sector. A full 30 per cent of Canada’s Information, Communications and Technology (ICT) industry is based in the Toronto region. GTA (Greater Toronto Area) remains the nation’s centre for ICT research and development, and is enjoying sustained growth and high employment. Toronto’s ICT sector is comprised of 11,522 companies that generate $52.2 billion in annual revenues. It’s dominated by small to medium-sized firms, with 97.7 per cent of firms having fewer than 100 employees. The sector employs over 161,000 workers, representing 56.4 per cent of all ICT workers in Ontario and 30 per cent of all ICT workers in Canada. This represents an increase of 30,000 jobs since the last analysis was completed in 2004. ICT sector is young, with over 60 per cent of its workforce under the age of 45. It also enjoys an exceptional 95.9 per cent employment rate and an average annual wage of $64,725. ICT workers are well educated, with 96.8 per cent holding a post-secondary certificate, diploma or degree, compared with 88.9 per cent for the city’s total labour force. Entrepreneurship is thriving with the number of ICT service firms increasing by 2,000 companies (mostly smaller-sized firms) since 2002. Research and development activity in the Toronto region is greater than that in any other single jurisdiction in Canada, accounting for approximately 30 per cent of total nationwide activity. Today the report was presented to Toronto’s Economic Development Committee meeting as part of a broader look at the city’s ICT and Interactive Digital Media (IDM) sectors. The Committee also heard from prominent representatives of Toronto ICT and IDM related businesses, institutions and programs. Also, the second annual Technicity industry forum will be held in November 2011 for more ICT intelligence and networking opportunities. Author editorPosted on March 31, 2011 April 2, 2011 Categories CommunityTags "canada's high tech hub: toronto", annual technicity industry forum, bmo, city of toronto's economic development and culture, digital media zone, gta (greater toronto area) is the nation's centre for ict research and development, helpcaster technologies inc., humber college, ict, information communications and technology (ict) industry, interactive digital media (idm), it world canada, john davies, michael gregory, michael thompson, nabil harfoush, research and development activity in the toronto is greater, ryerson university, sapphire technologies, sergio mateus, shane schick, toronto as a global ICT centre, toronto has 30 per cent of total nationwide activity, toronto's economic development committee, valerie foxLeave a comment on Toronto is Totally Talented as the High Tech Hub of Canada! Thanks to the inspiration of Article 27, Toronto is having its first annual Celebrate 27 Arts Fest – “C27” to celebrate the universal right to participate in arts and culture by presenting free and ticketed events across Toronto throughout April. 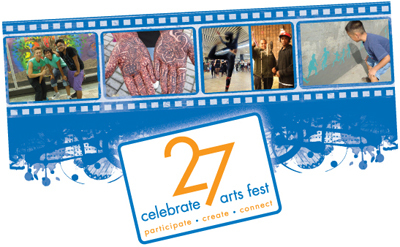 Here is the itinerary of the FREE events and ticketed events of Celebrate 27 Arts Fest – “C27”. The City of Toronto needs your help to update the City’s 2003 Culture Plan for the new term of Council. Toronto residents define culture as the following elements: great arts and educational institutions, vibrant street life, ethno-cultural and intellectual diversity. between 1991 and 2007, creative occupations grew at more than twice the rate of the general labour force. Please click here for information about the Culture Plan. For these reasons, it is imperative that Toronto and Toronto citizens come together for a fresh review and to update the City’s 2003 Culture Plan. The Creative Capital Initiative is a partnership between the City and the arts and culture community to provide expert advice and recommendations to update the City’s 2003 Culture Plan for the new term of Council. 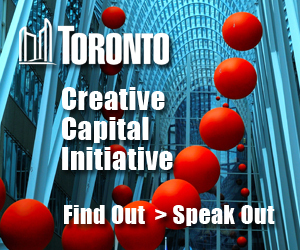 You may track the progress of the Creative Capital Initiative and provide comments on http://www.livewithculture.ca. This Creative Capital Initiative will present its recommendations to the Economic Development Committee at the committee’s May 2011 meeting. March 28 consultation on strategic priorities for the cultural community, 6 to 8:30 p.m., at Council Chamber, Toronto City Hall, 100 Queen St. W.
April 7 session on strategies specifically related to youth and youth-focused cultural organizations, 6 to 8:30 p.m., Council Chamber, Toronto City Hall, 100 Queen St. W.